If you have a lot of credit card debt, perhaps you have been considering debt consolidation. Debt consolidation is when you combine all your unsecured debt, such as high interest credit card debt or medical bills, into one loan. Typically the interest rate on a debt consolidation loan is a lower than the credit card rates, and the monthly payment is lower as well. Debt consolidation can simplify your life, make it easier for you to manage your money, and may help you get out of debt faster. Is debt consolidation the right choice for you? Do you have a lot of revolving credit card debt? If you don’t pay off your entire credit card every month, then you have revolving debt. If you are like many people, you may choose – or can only afford – to pay just the minimum amount due every month. This means that it will take a long time to pay off your balance and you will continue to accrue interest charges. Unless you are disciplined about not using your credit card at all, and are committed to paying significantly more than the minimum each month, it can be difficult to dig yourself out of a pool of revolving credit card debt. Unlike installment loans, there is no set end date for when your payments will end. It could take years to pay off your entire balance. Have you tried to unsuccessfully negotiate with your creditors? Sometimes people contact their creditors and try to negotiate with them for a more favorable deal. Some credit card companies may not be willing to negotiate at all; others may agree to a lower interest rate or minimum monthly payment, or a waived annual fee. This can be helpful but may hurt your credit score and the creditors will also likely lower your credit line. Do you have trouble keeping track of all your credit card due dates? Chances are, if you have multiple credit cards, they are due at different times of the month. People in this situation sometimes miss payments or pay late because they have trouble keeping track of all the due dates. Falling behind on a credit card can have consequences ranging from a steep late fee and higher interest rate to a blemish on your credit report and a lower credit score. You’ll receive one personal loan that will allow you to pay off all your credit card balances. Instead of multiple credit card bills with varying due dates, you’ll have only one loan with one monthly due date. Your loan may have a lower fixed interest rate so you may save money in the long run. The loan is an installment loan so there is a defined end date; you’ll know that your loan will eventually be paid down. Budgeting will be easier because you’ll know exactly how much you will be paying each month. You can help protect your credit score by reducing your debt and consistently paying on time. 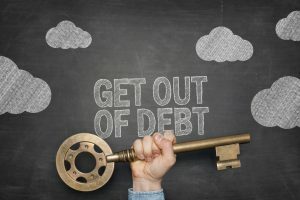 A debt consolidation loan can help you get back on the right financial track but only if you don’t look at it as an opportunity to accumulate more debt. Leave your credit cards at home and pay with cash whenever possible. Save your credit cards for emergencies only. Read more about the benefits of debt consolidation in this blog post. If you think that debt consolidation is right for you, contact Omni and we may be able to help.